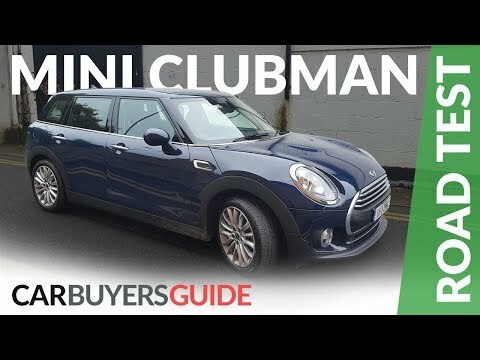 The Mini Cooper Clubman notches above the standard Hardtop in both size and price, with an interior that has more space for passengers and cargo. Revamped last year, the 2017 Clubman lineup expands with all-wheel-drive availability on both standard and sportier S models, plus an all-new performance-oriented John Cooper Works variant. Mini small in size large in fun. Great little car that handles like a go cart. Great gas mileage. All wheel drive, so good in snow and rain. Although it looks small car has a lot of storage. I feel like a kid again driving car. No maintenance issues. Great technology in car. Connectable to smartphone. Has Sirius XM. Built in owners manson touch screen, so look up is easy. It has a lot of pep to it. I love the look of my vehicle. It's a very solid car and rides nicely on the roadways. It's tiny but packs a big punch in bad weather. I'm glad I purchased it. Great car for singles or families. Stylish yet practical with lots of attitude. Great car. Service is minimal. Great gas mileage. Easy to park and drive in the city. I love the cargo space and the stereo system.